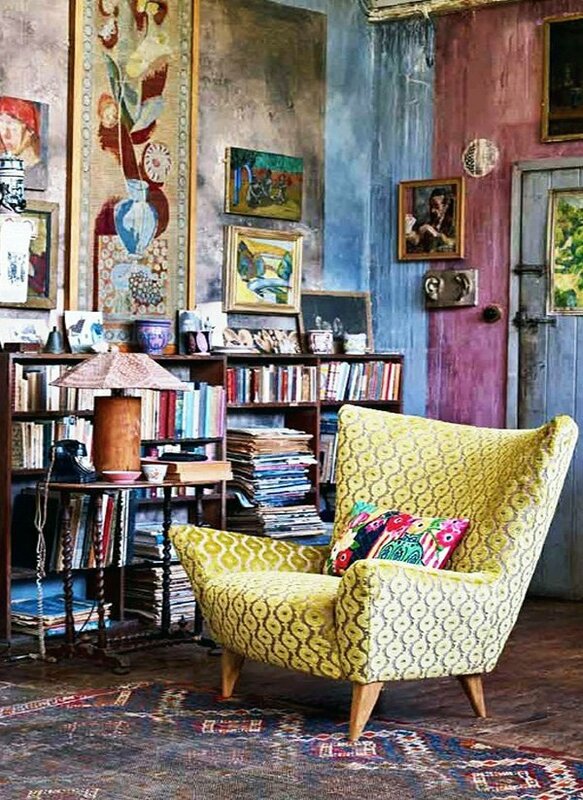 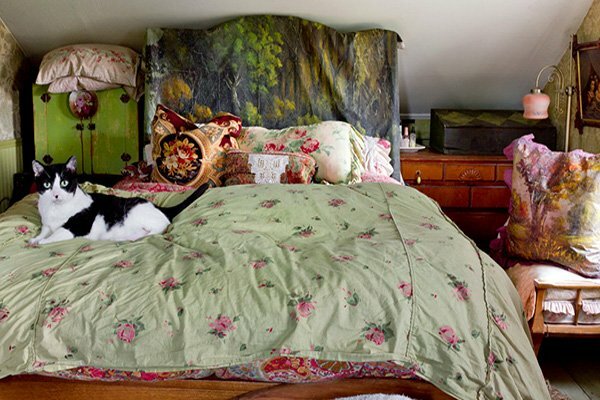 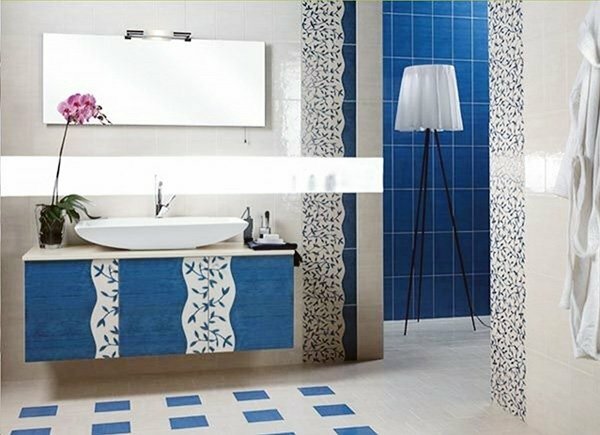 What better way to reflect your very own taste and style than using a bohemian interior design? 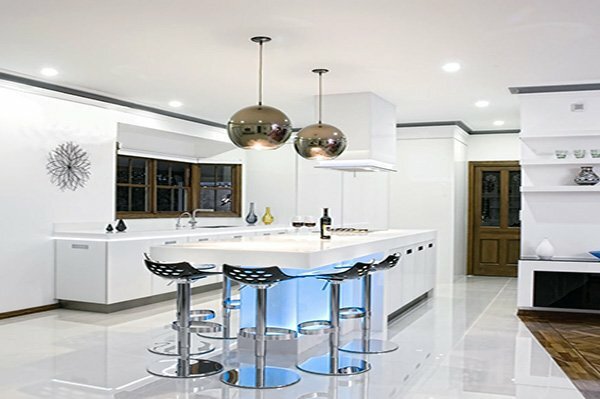 This unconventional approach to home decor has become popular and the reason is obvious: this eclectic style promotes using old items or new ones in line with various styles from various cultures (mainly Eastern influences), thus allowing us to create a highly personalized space without narrowing down our options to one particular fashion. 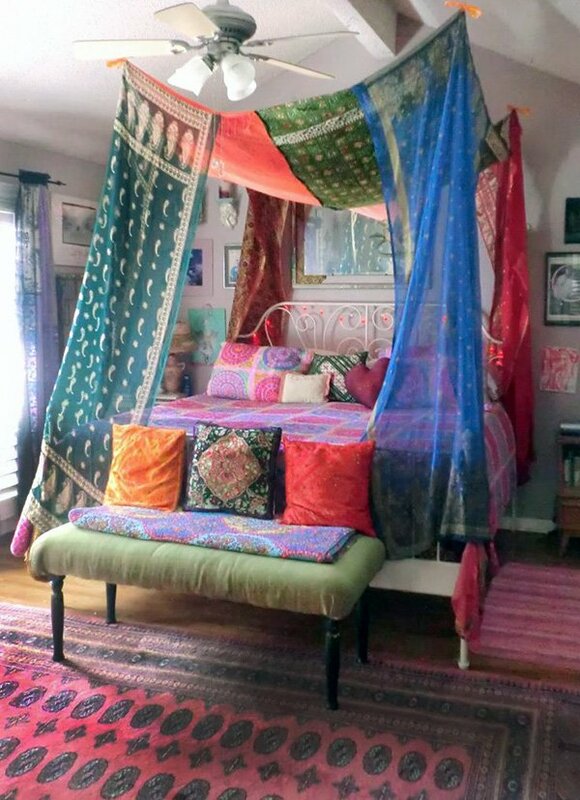 Bohemian style represents freedom and creativity, and is rich in colors and patterns. 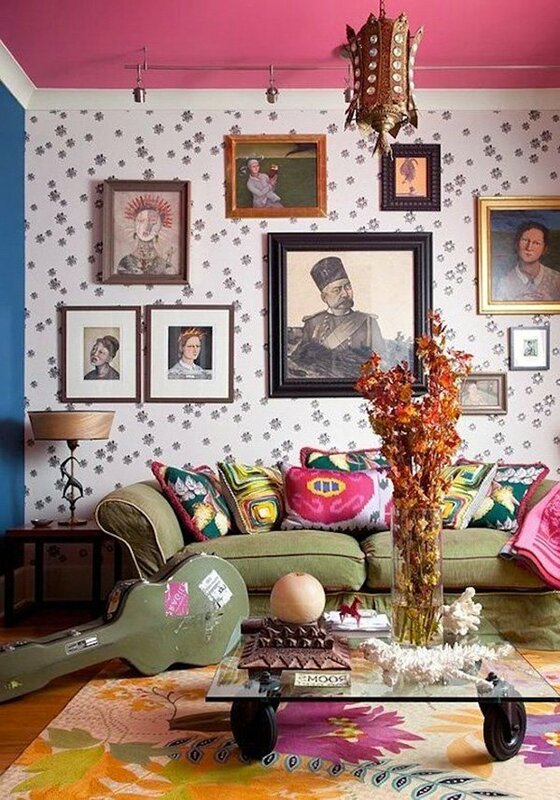 It also includes vintage elements as well. 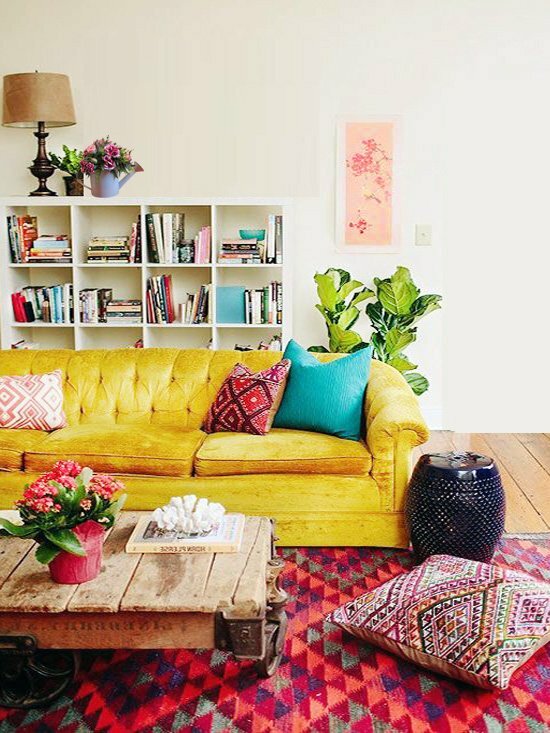 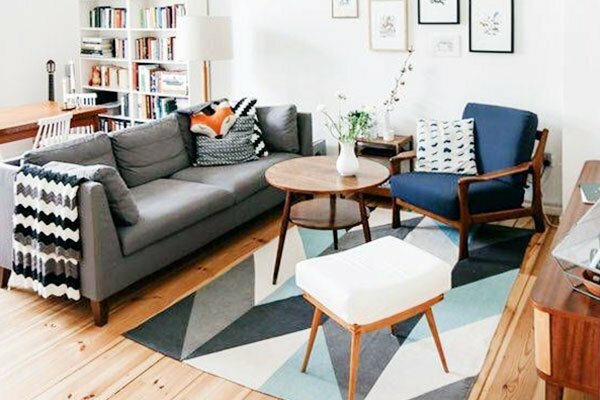 You can turn your living room or bedroom into a highly comfortable space by making use of different colors, patterns, organic elements, vintage furniture and textile, and encourage that hippie inside you. 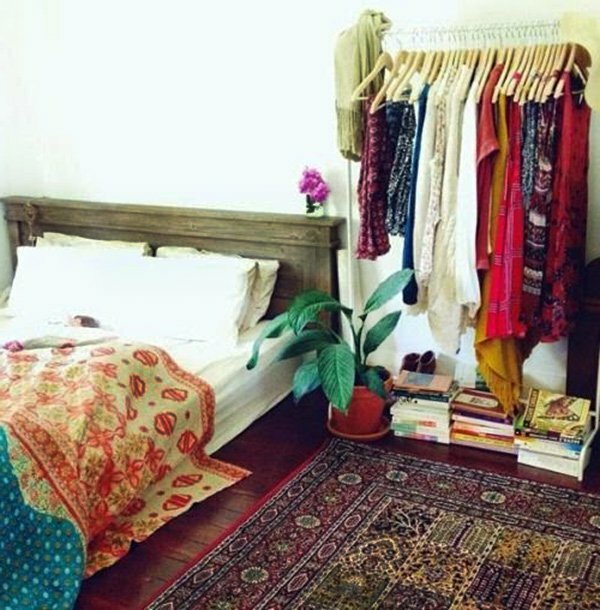 Bohemian style is all about mixing different colors and patterns, so basically if you like an item of any kind, just use it. 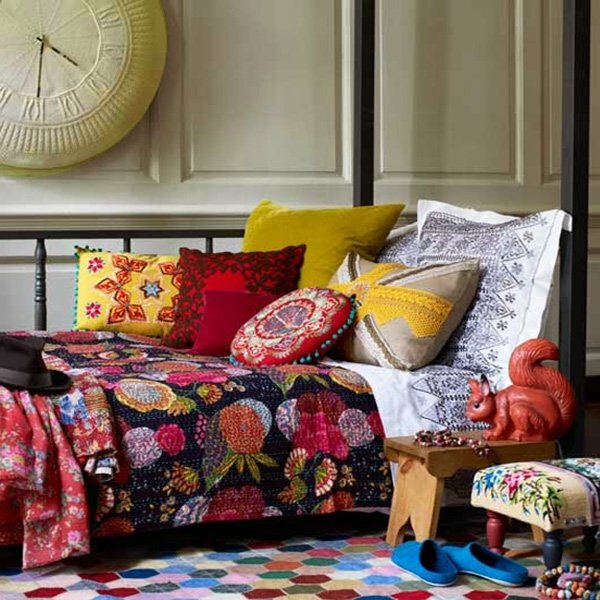 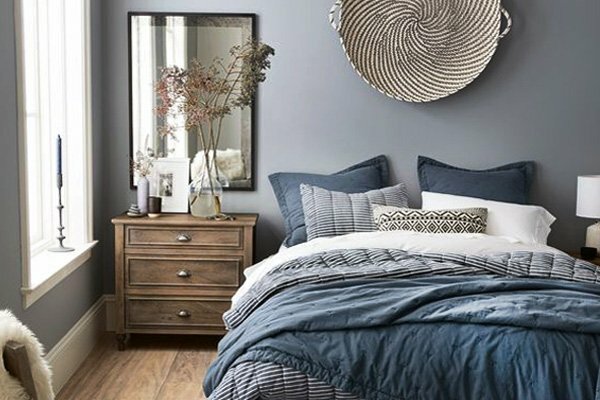 The simplest way is to make use of a bunch of pillows of different colors and patterns, as well as art pieces and maybe a rustic headboard for your bedroom. 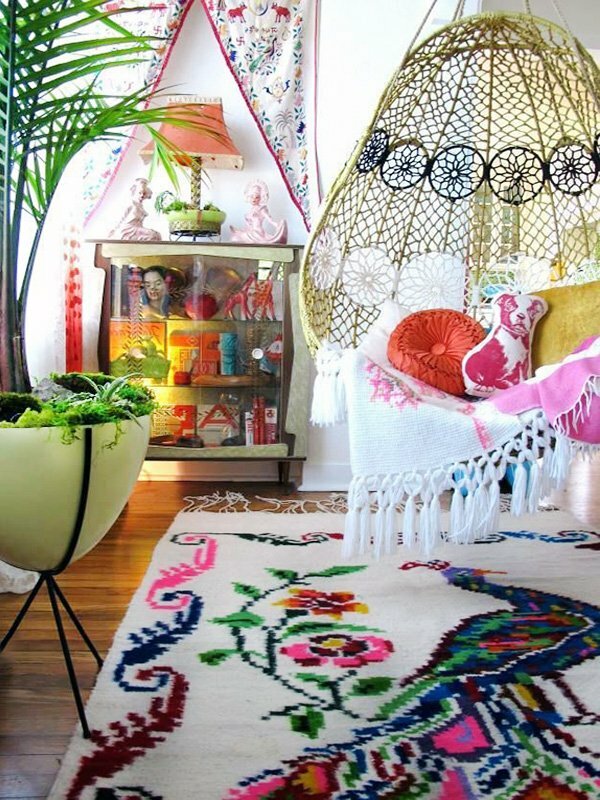 Again, colorful rugs and carpets with different patterns do create a bohemian atmosphere, so feel free to use any rugs and carpets you love. 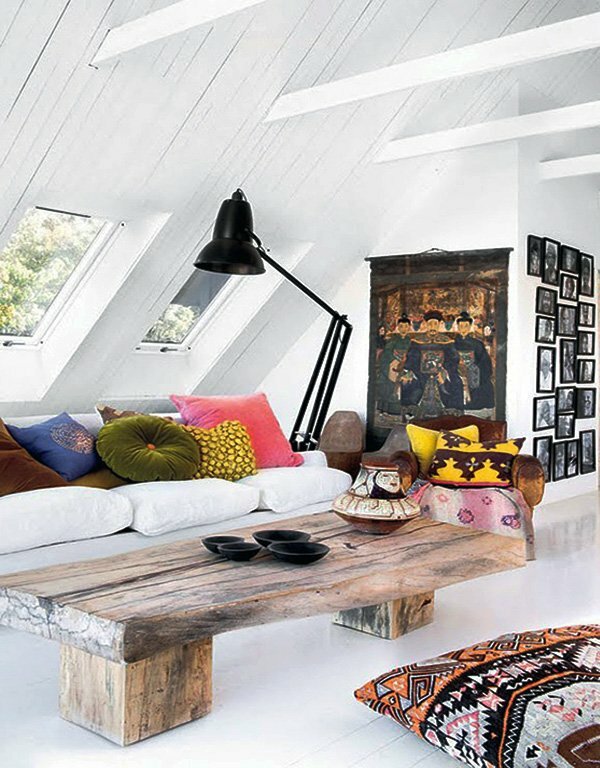 Mix, but don’t match. 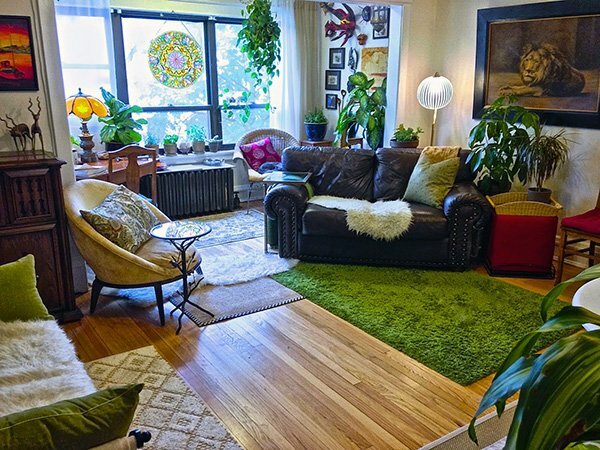 If you have always wanted to put some plants inside your room, here is your chance. 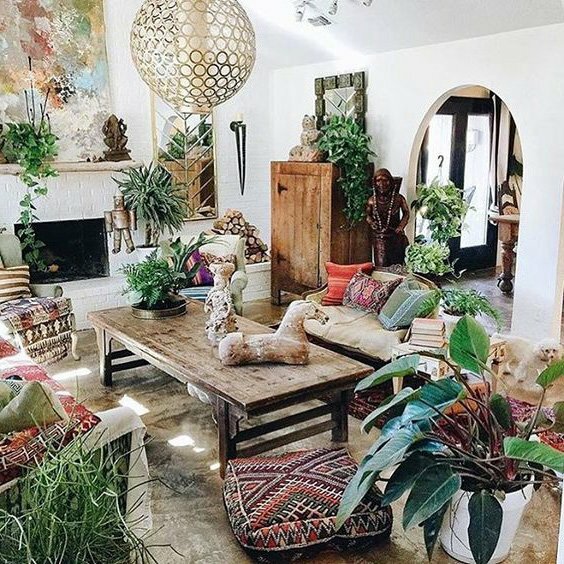 You can never go wrong with multiple, big plants inside the room if you are a true boho-chic fan. 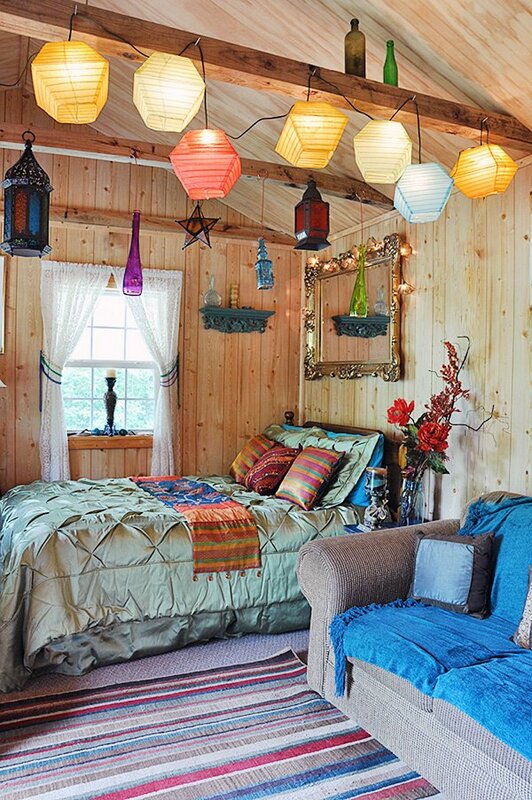 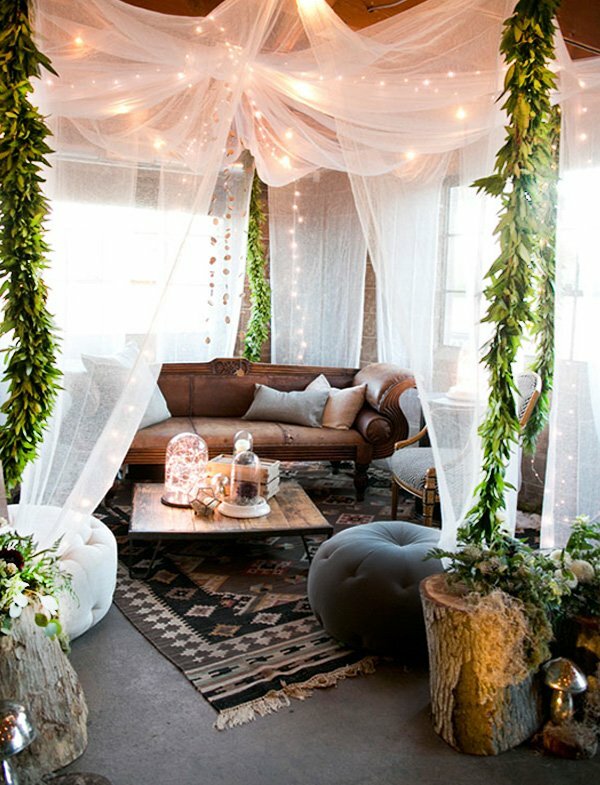 Paper or glass lanterns also bring a bohemian touch, so use as much as you would like to. 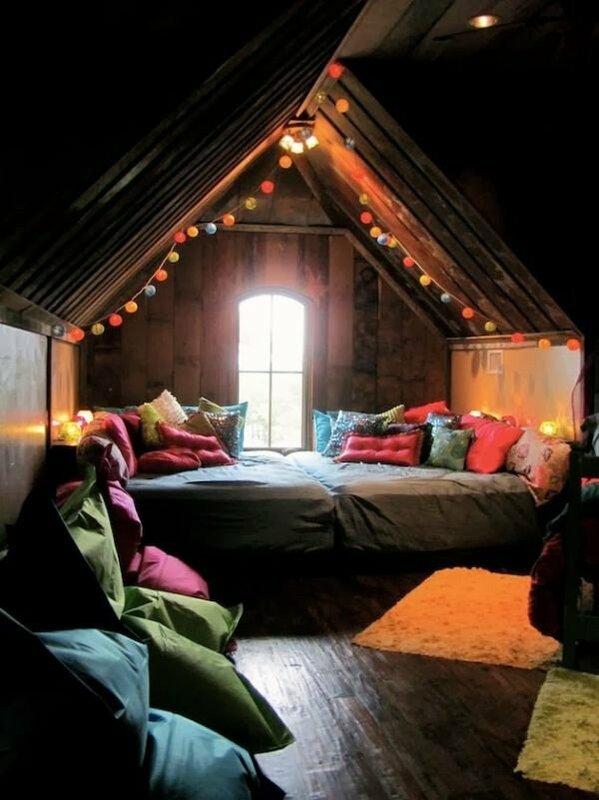 Coziness and comfort in your OWN taste. 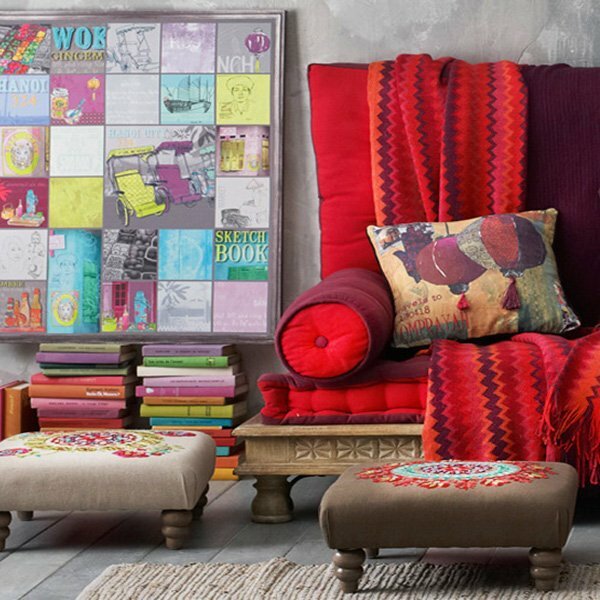 Create the perfect room with tapestry on the wall and maybe on the sofa, and you are again free to choose a tapestry of any color and pattern. 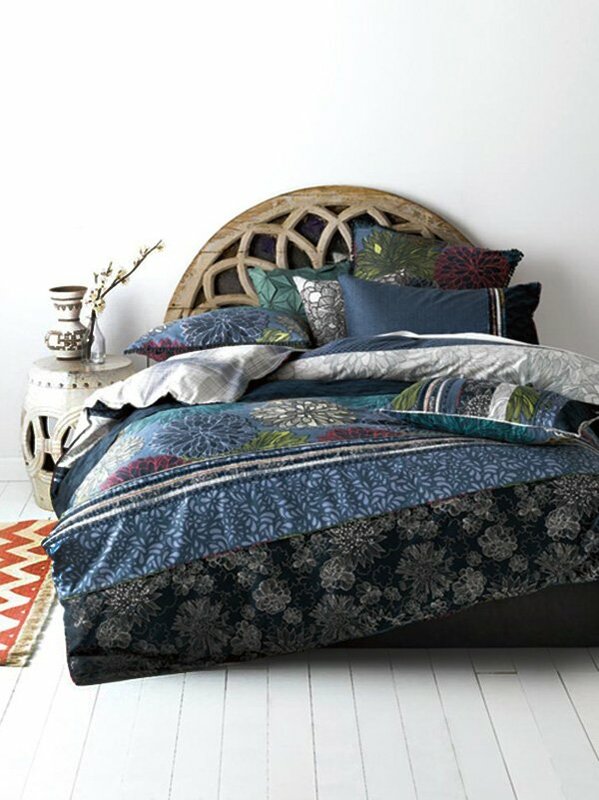 Use a canopy in your bedroom and make sure that your mattress is as low to the ground as it can be! 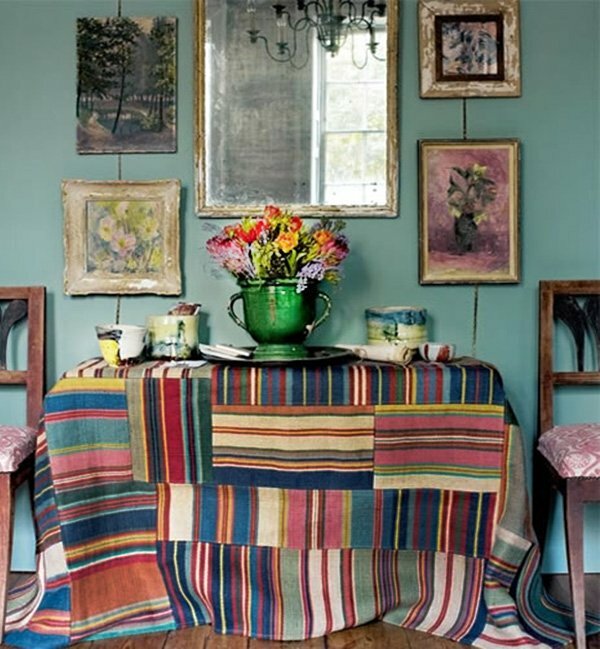 Apart from tapestries, walls are like an empty canvas for bohemians, so use artworks that reflect your very own outlook and style. 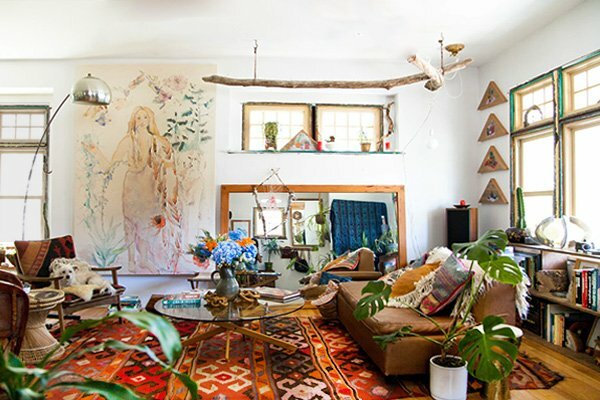 You can also use colorful curtains, vintage furniture, earthy tones, mirror adornments, hand-made vases and such to add to that bohemian style you are trying to achieve. 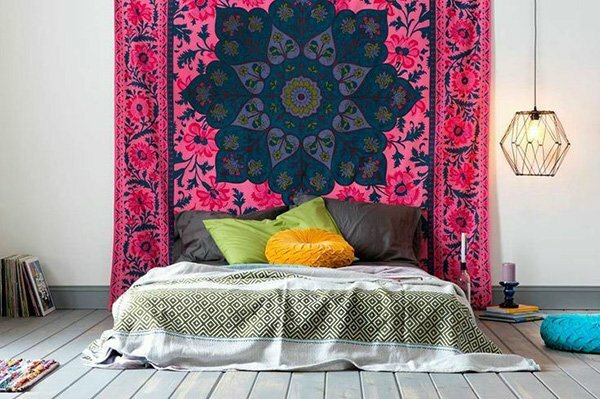 If you want a space free of any label, and that represents your inner hippie, take a look at these amazing bohemian designs we have picked out for you.